The fuel supplied into the combustion chambers is in every way essential for the functioning of engine. Regardless to what kind of fuel is used on a car, whether old or new, there's always a chance that it is not being fully utilised. Having said that, the fuel in which is ignited, if not properly refined, the engine's performance will be affected. What essentially is required then, is a device that could help enhance every of fuel that goes into the combustion chambers. The answer is, Qmax Nano Fuel. Basically what it does is to breaks and refines the fuel molecules with Far Infrared ray that penetrates through metal, rubber and fiber braces upon being attached. The far infrared ray emitted by Qmax Nano Fuel which penetrates through the fuel lines causing the fuel molecules to resonate, resulting in a breakdown of the molecules before it goes into the combustion chambers for a more effective and cleaner combustion. This inevitable improves on the engines performance and fuel economy as every of fuel is optimised by the Qmax Nano Fuel device. The Qmax nano Fuel is highly compatible with various types of vehicles and even on buses and commercial vehicles. Its versatility also stretches to engine running on gas (LGP, CNG, NGV) and biofuel. This device can also improve the carburetors and fuel injectors by making it to work more effectively for more complete combustion. It also helps improve on low tempurature working conditions while keeping the combustion chambers clean and fewer carbon deposits. The easy installation of the Qmax Nano Fuel makes it a must have for the savvy consumers looking to get a better mileage from a tankful of fuel. Nanotechnology is the creation of functional materials, devices and systems through control of matter on the nanometer length scale (1-100 nanometers), and exploitation of novel phenomena and properties (physical, chemical, biological, mechanical, electrical...) at that length scale. For comparison, a nanometer is a billionth of a meter, or, about 1/80,000 of the diameter of a human hair. A scientific and technical revolution has just begun based upon the ability to systematically organize and manipulate matter at nanoscale. A specific raw material obtained from natural ore emits the ray similar to far infrared ray. This raw material, as chosen, has been utilized by Light Ray and transformed into one "Qmax Nanotechnology fuel Saver. Qmax Nano Fuel is the FIRST device with its infrared ray at 12 x 10 /Second that penetrate metal/rubber/fiber braces and break oil molecule thin disintegrate, bring forth low frequency resonate, resonate behind can bring forth anion, increase oxygen content, promotion fog melts effect. Thus the fuel can fully mix with air while entering into the engine cylinder, giving an enhancing performance of combustion, engine runs smooth, increase engine longevity. It is good for the environments because is can decrease the vehicle's carbon monoxide 18% or more. It is a device of new invention using latest nanotechnology. Qmax Nano Fuel emits far infrared ray going throught the gas pipe to break down fuel molecules by leading the molecules to resonate. Thus, it can improve combustion efficiency after fuel molecules entering into the engine and further enhances the vehicles horsepower and fuel efficiency. In case of experiencing difficulty of ignition, abnormal vibration or inevitable stalling, Qmax Nano Fuel is also capable to improve such conditions. Main function: save the energy resource and money, improve horsepower, reduce carbon deposit, extend engine life, reduce emission and environmental friendly. Qmax Nano Fuel is designed for most of the motor vehicles. 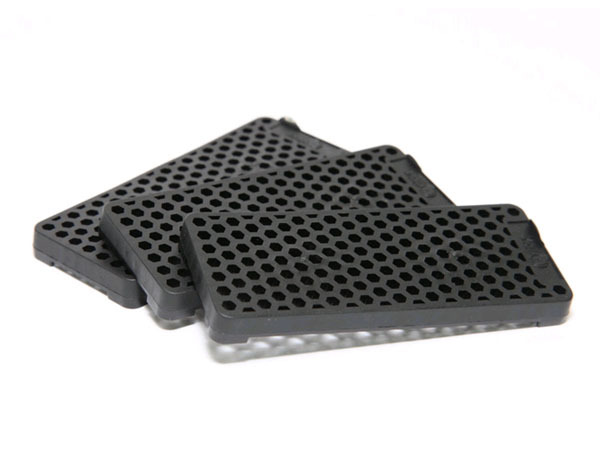 It can be used in cars, MPV, SUV, buses, trucks, excavators and so on. Suitable for engine running on Diesel, Petrol, Gas(LPG,CNG,NGV), Biodiesel, Biopetrol. Why using Qmax Nano Fuel in my car? 1. Improve carburetor / fuel injectors function, better atomization, virtually complete combustion. 2. Improve low temperature working condition, keep combustion chambers clean, lesser carbon allowing longer engine oil self life, extend engine life, best performance condition. 3. Fewer carbon deposit, resulting better engine efficiency, cleaner emission and increased mileage per tankful fuel. 4. Easy to install, protects engine, extend automobile life, save fuel, improve horsepower / torque and reduce maintenance cost. How to apply Nano Fuel? 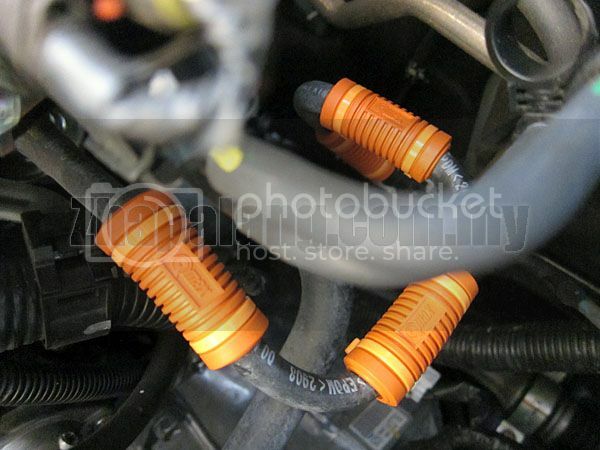 Locate the fuel line going to the engine (in between fuel filter and fuel injector). If there is an extra outer later on the fuel line, remove it. otherwise, wipe clean the fuel line with damp cloth. Then, put Qmax Nano Fuel (up to 4 pieces) on the fuel supply line, as close to the engine as possible by wrapping it tightly around the fuel pipe. How to apply Nano Hose? Locate the diesel supply hose in between Fuel filter and High pressure pump(or Diesel fuel pump). Replace the it with Qmax Hose (Do Not cut it short). Use the manual pump found at Fuel filter and pump it for Â½ minute. Start engine as usual. Also, if further improvement is desired, each fuel line can applied with a Nano Fuel. Refer to the diagram on right. NOTE:NO MODIFICATION, NO MAINTENANCE AND IMMEDIATE EFFECT. What is difference between Qmax Nano Fuel compare to others brand?